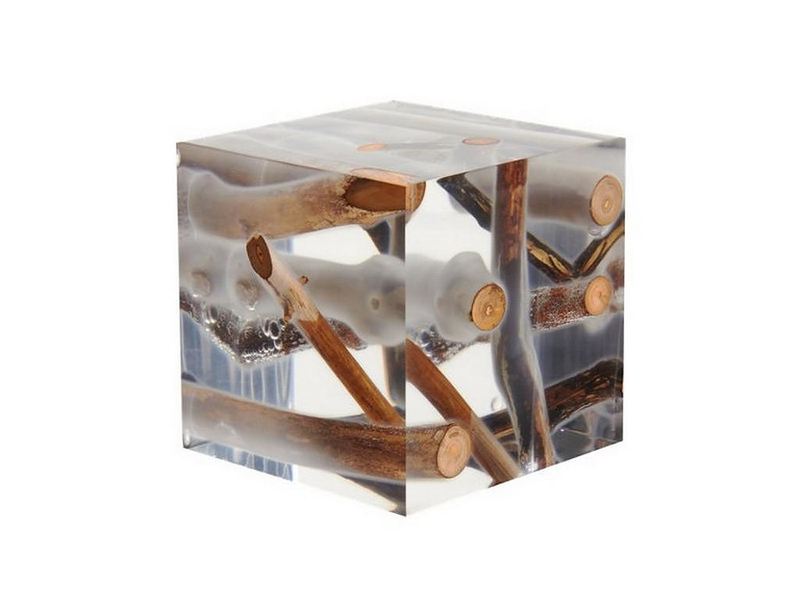 HomeBlogHome DecorKisimi Frosted Driftwood Cube by Bleu Nature. The Kisimi frosted driftwood stool looks as if someone cut off a piece of a frosted lakeside together with the trapped driftwood. 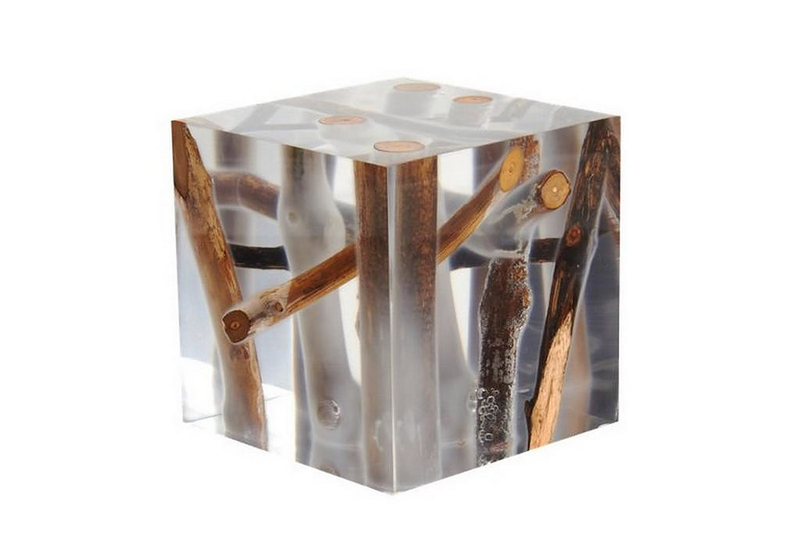 Intense in its appearance the Kisimi frosted driftwood cube looks like part of the scenery of a fairy tale or a movie. However it is real, and one of the most captivating stools we have ever seen. Kisimi frosted driftwood stool is above all a contradiction. 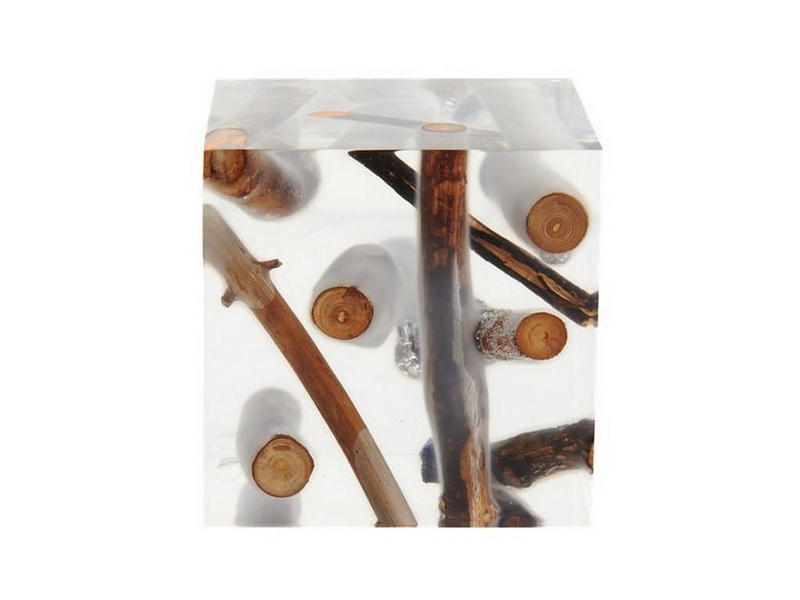 Made of wood but not wooden, with composite acrylic material but not natural, clear and translucent yet with trapped wooden branches on the inside. A piece of nature right in the middle of our living room. 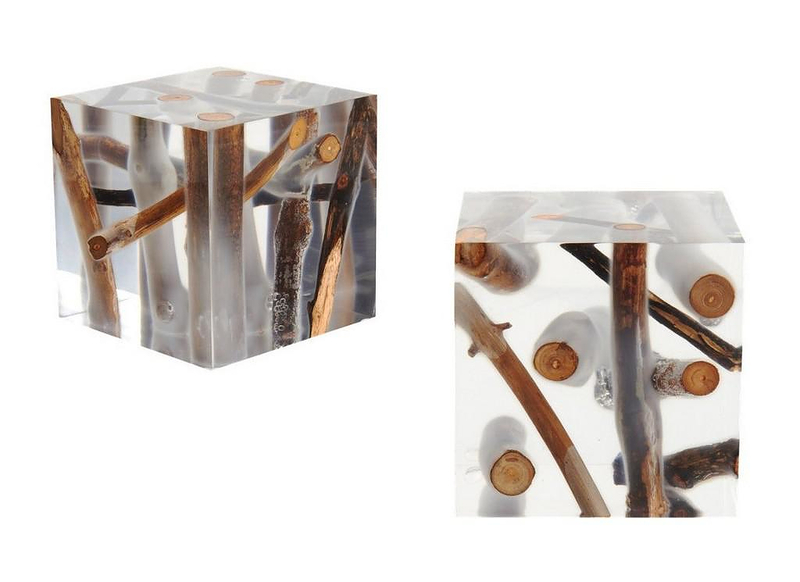 Minimal and unique, organic and synthetic, abstract and natural, Kisimi driftwood cube has an intense design character. It is a creation of Frank Lefebvre, the man behind Bleu Nature that manufactures luxury furniture inspired by and using driftwood parts sculpted by time and water.